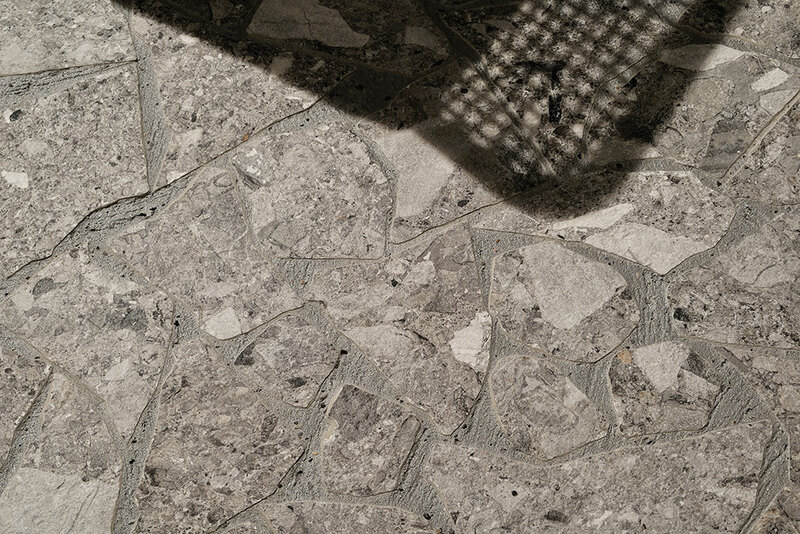 An element and material typical of Milanese architecture, the Ceppo di Gré is mainly used for the external basements of Milanese buildings. 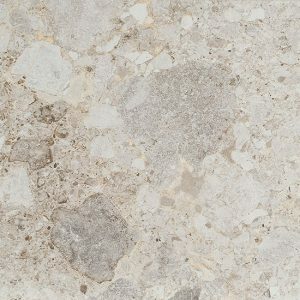 It is an Italian rock found in the town of Gré, which in the means, precisely, “rock with pebbles”. 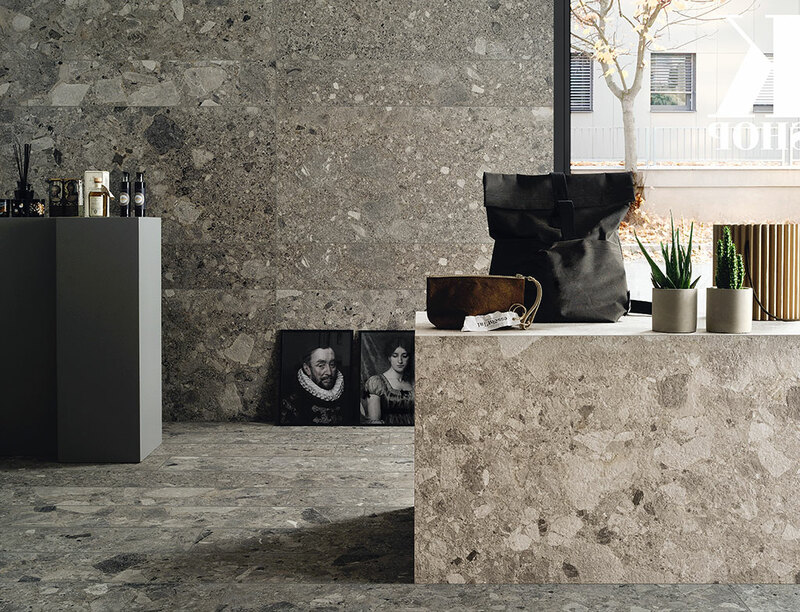 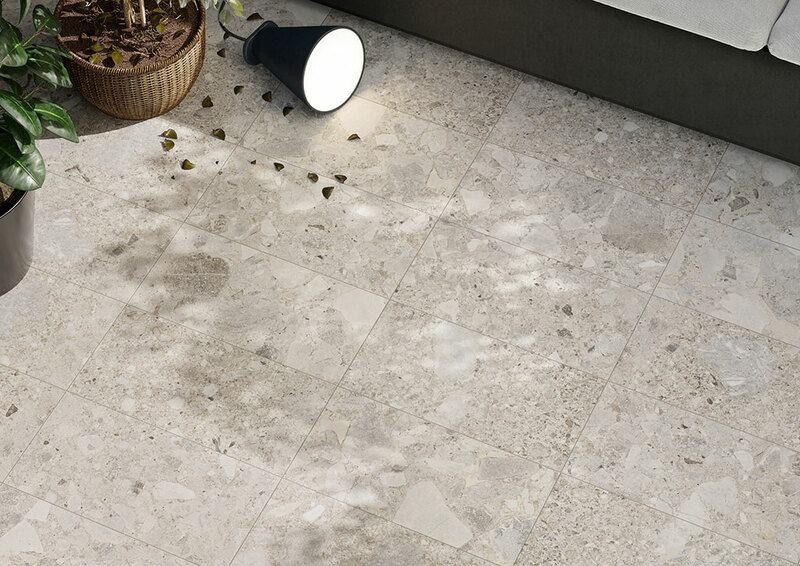 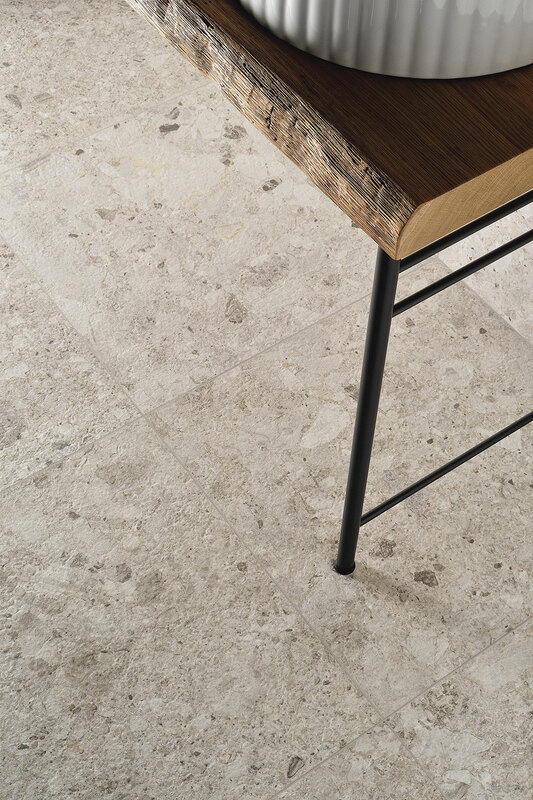 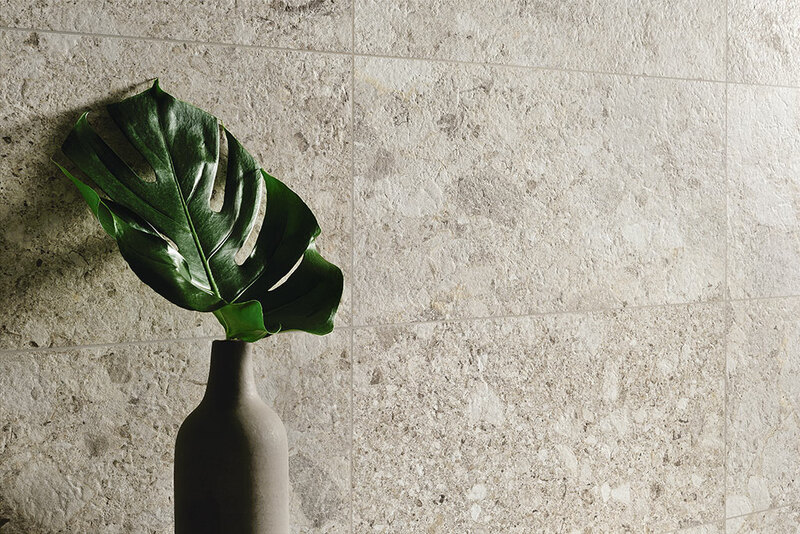 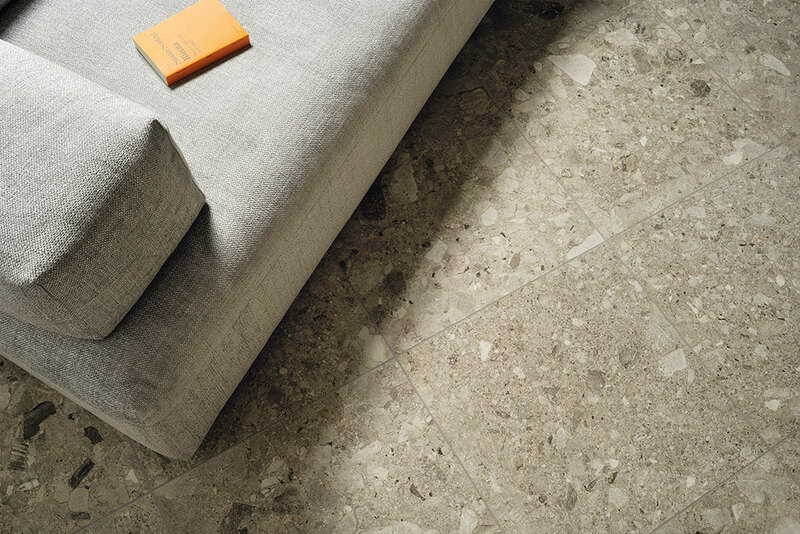 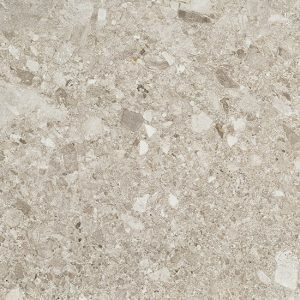 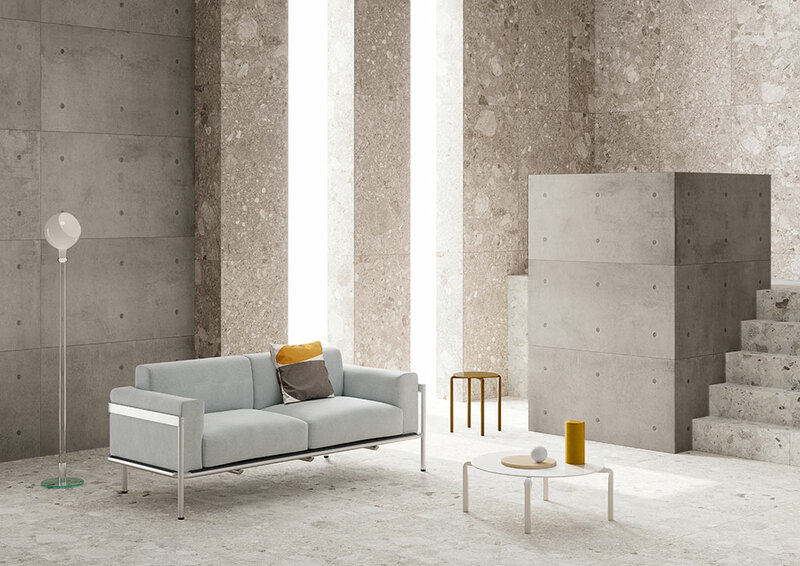 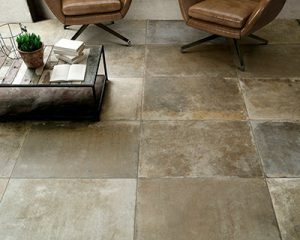 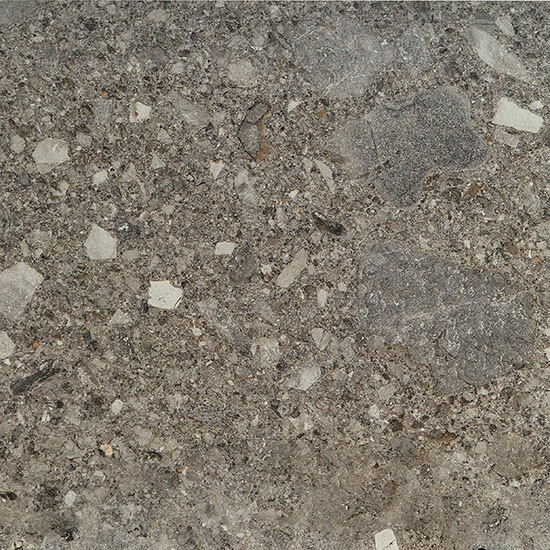 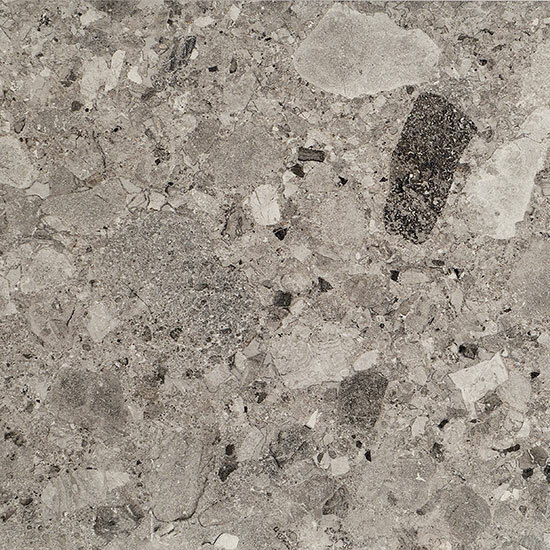 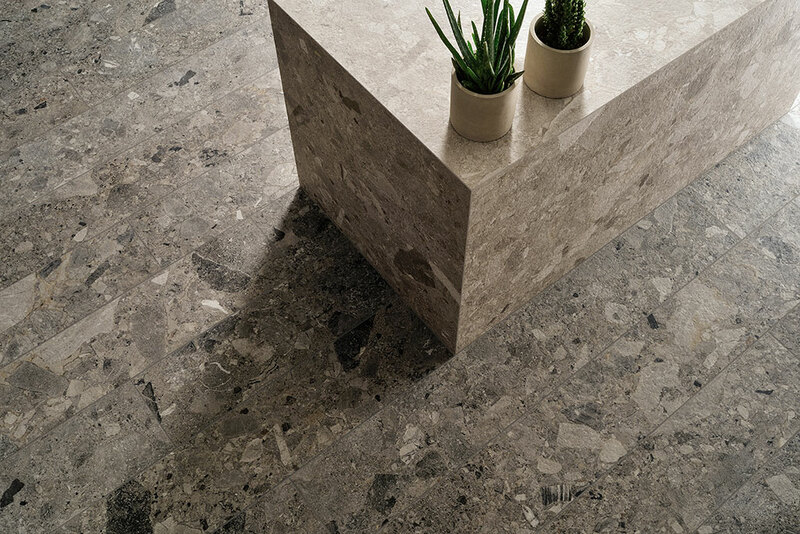 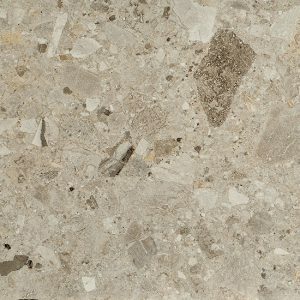 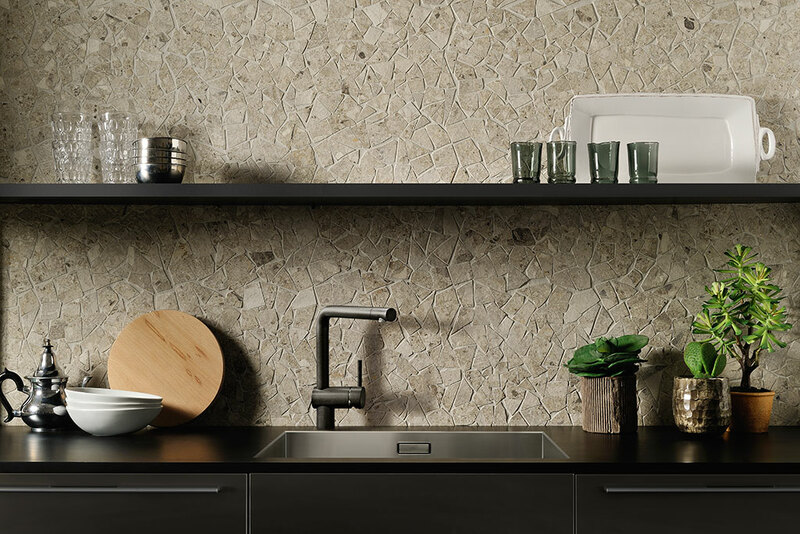 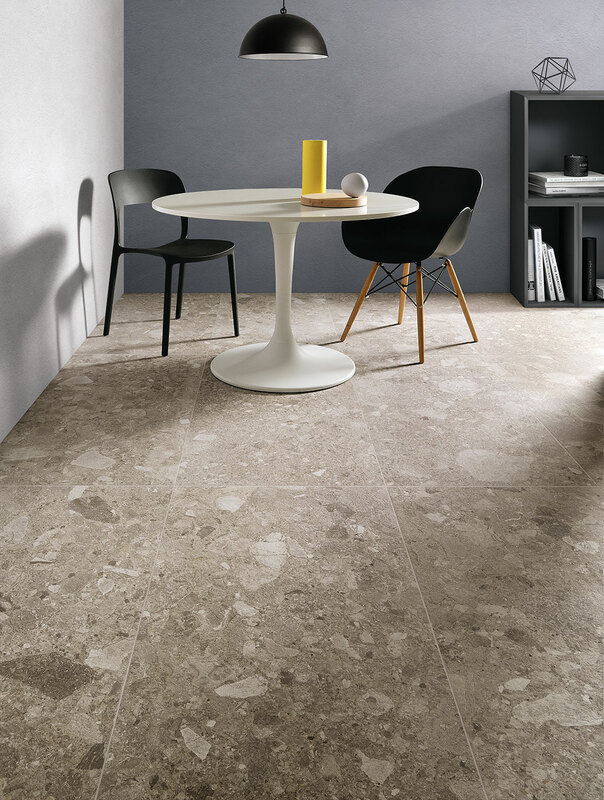 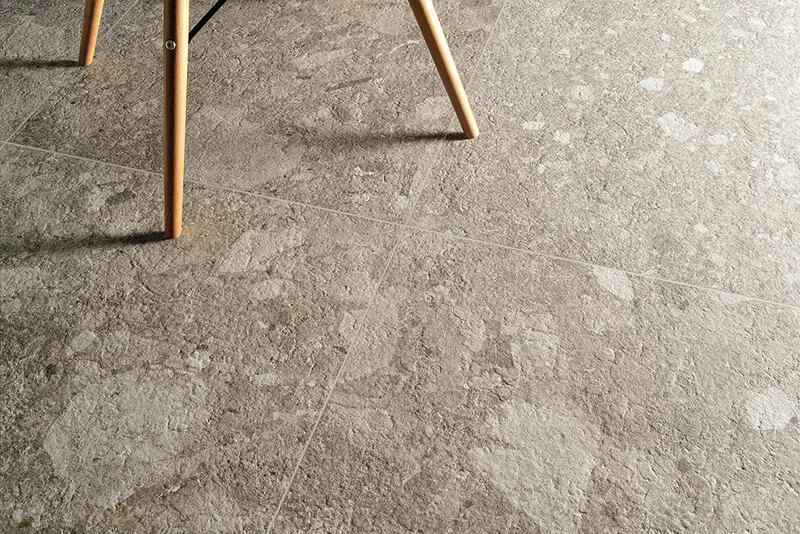 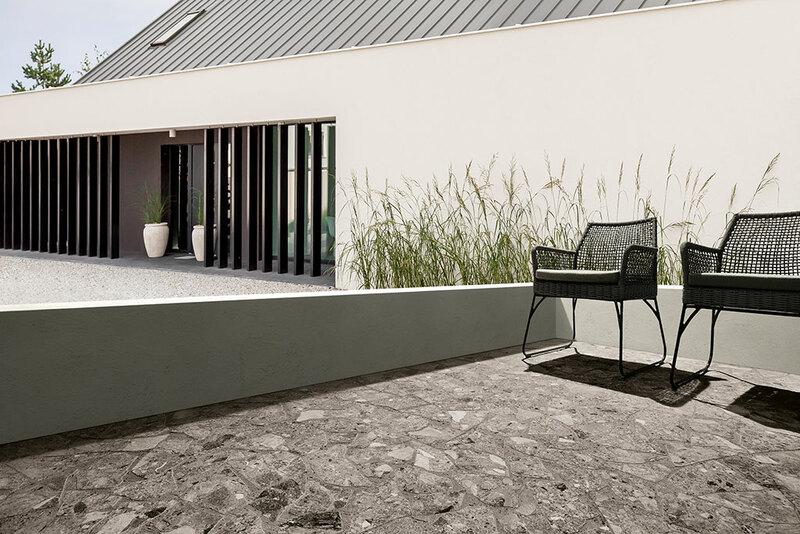 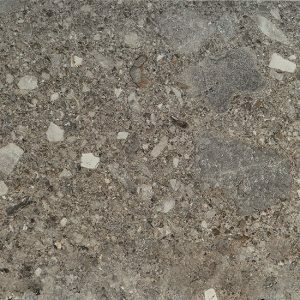 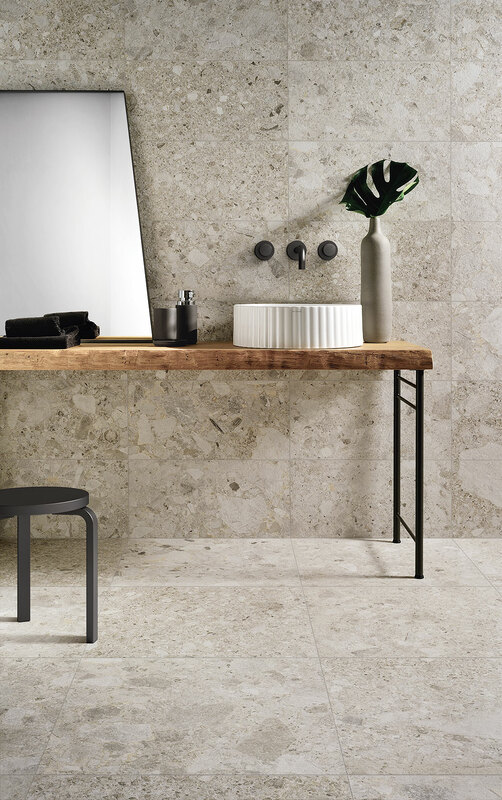 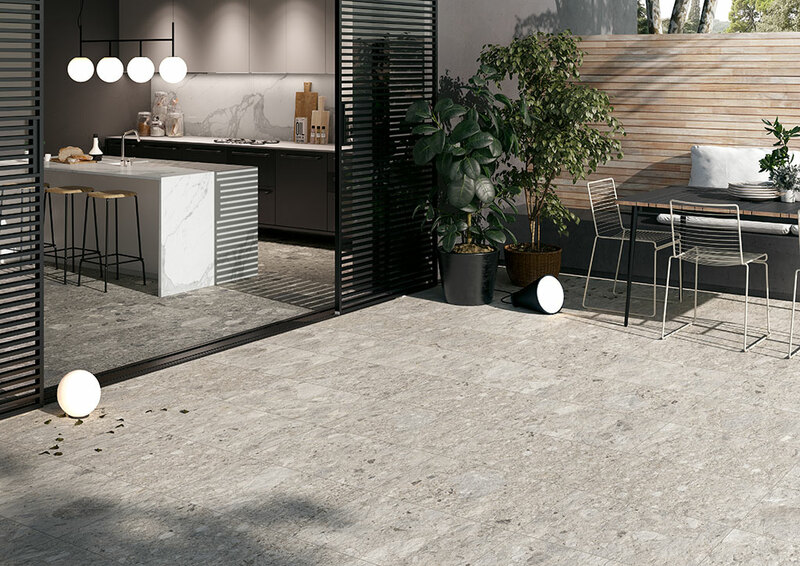 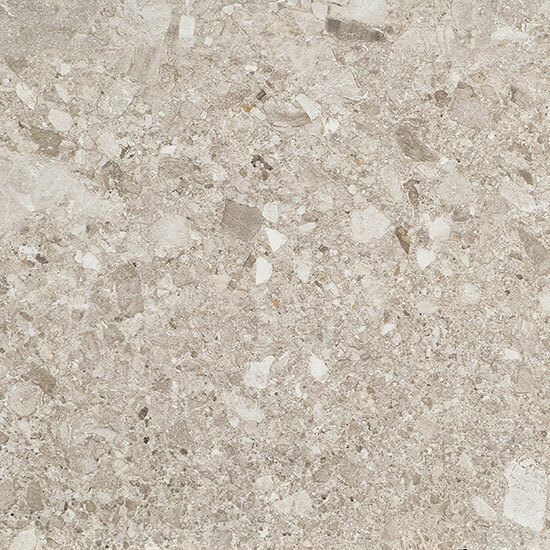 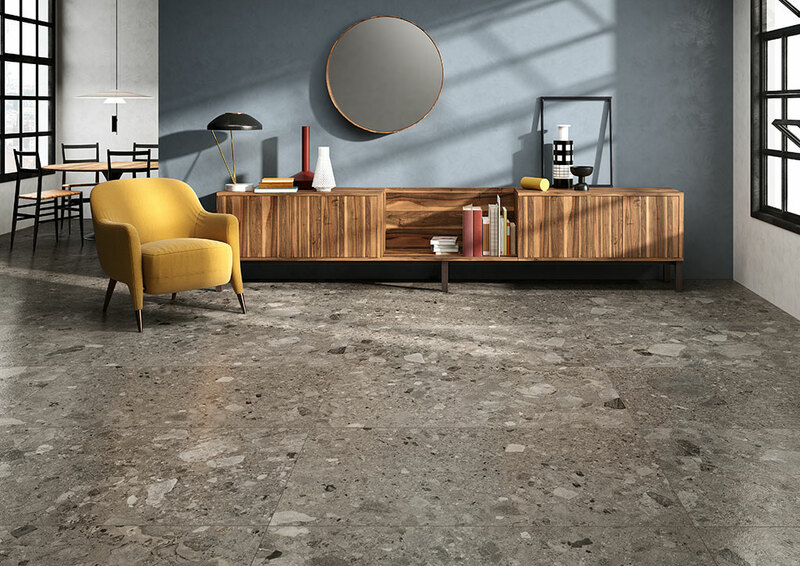 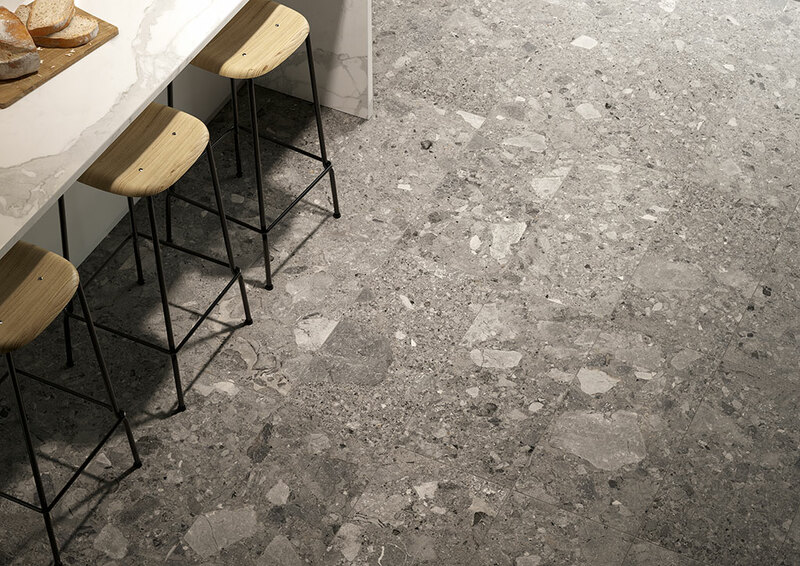 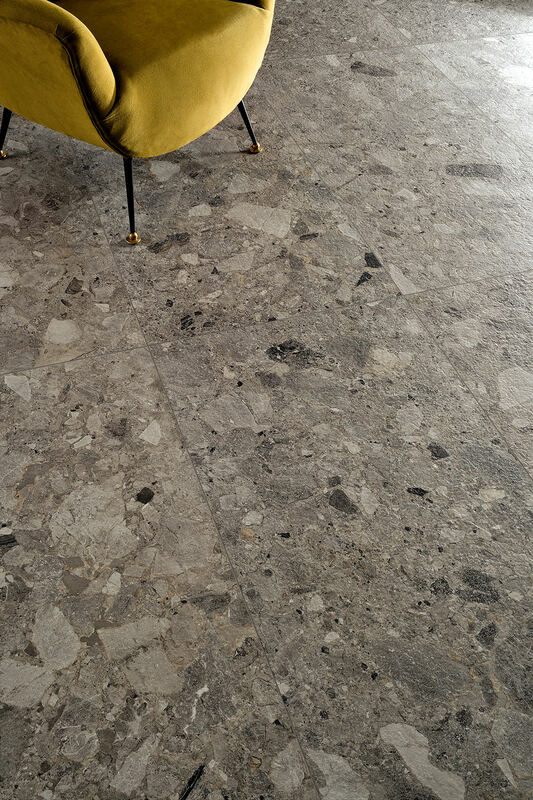 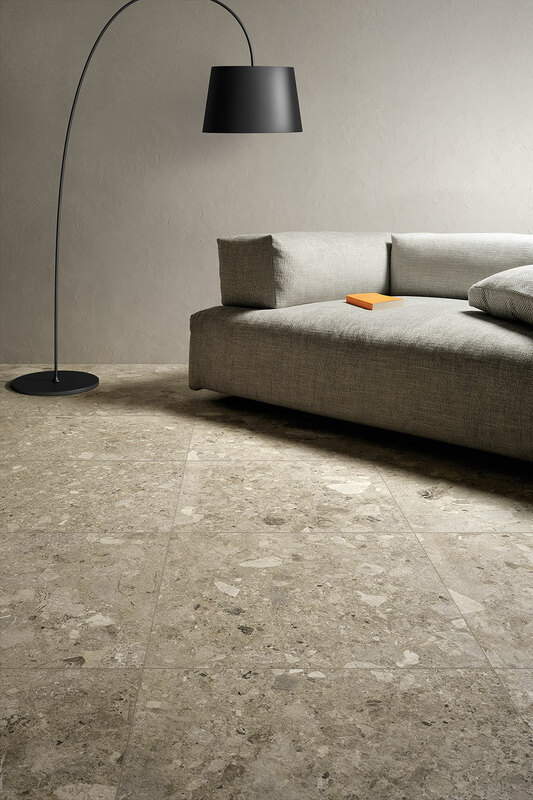 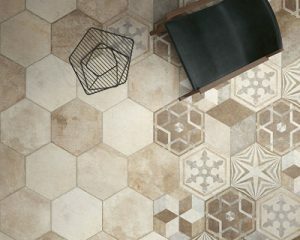 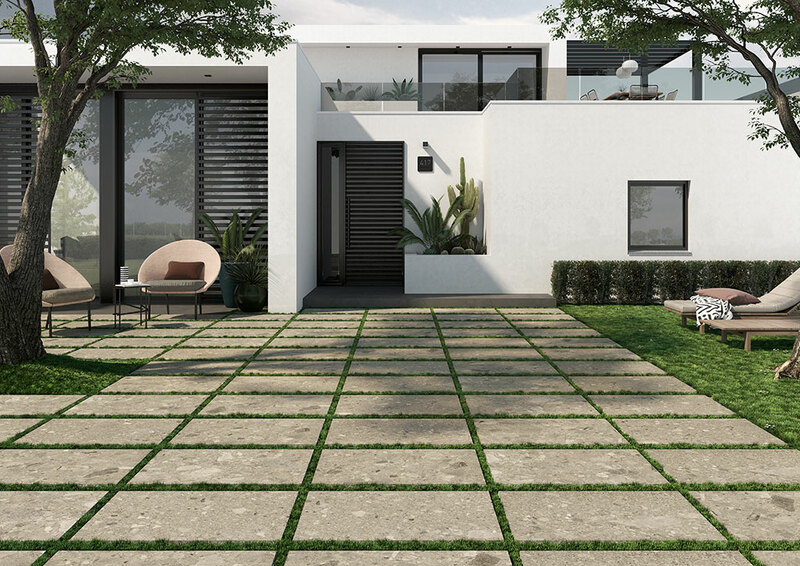 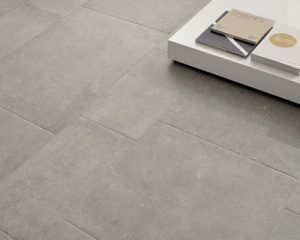 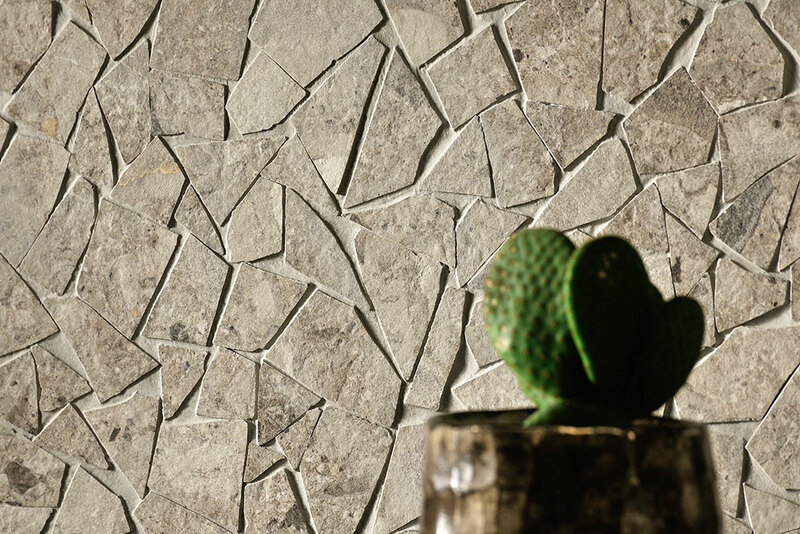 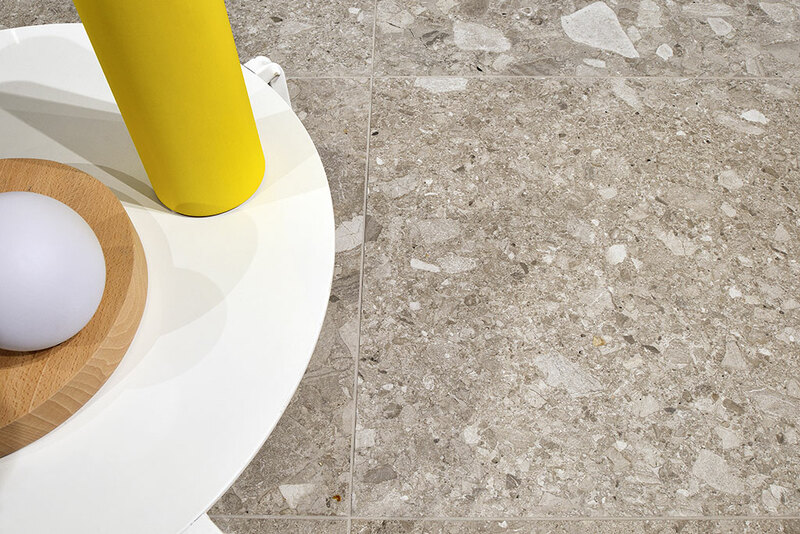 FRAMMENTA stone-effect porcelain stoneware features evident irregular grains or pebbles, with a mix of mini and macro-stone patterns, which gives residential or commercial spaces, both indoor and outdoor, a striking and distinctive look.